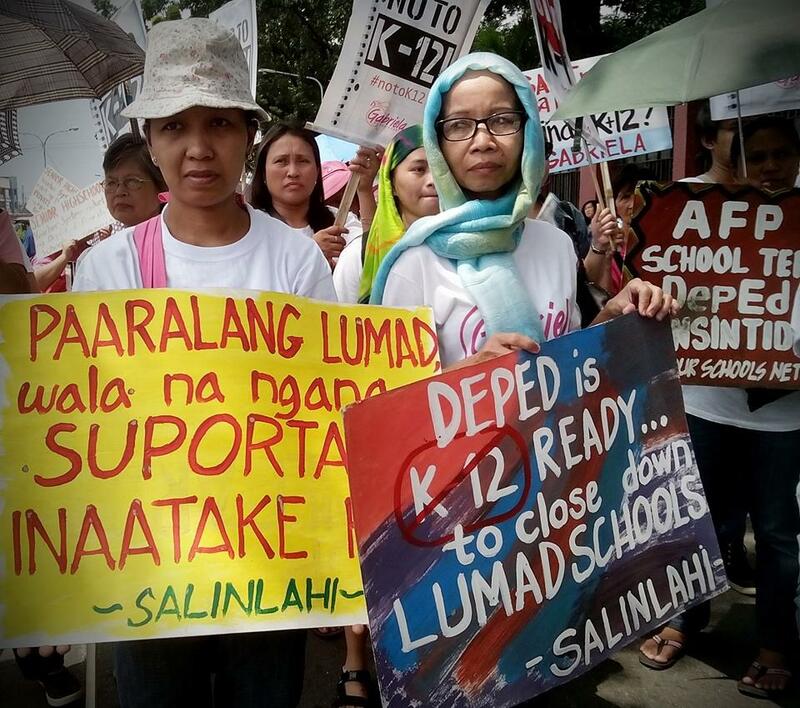 The Department of Education (DepEd) is in collusion with the Armed Forces of the Philippines (AFP) in violating the right of lumad children to education. Thus claimed the Save our Schools network during a press conference today in Intramuros, Manila together with solons from Gabriela Women’s Partylist and Kabataan Partylist. The SOS network cited an increase in incidents documented by the Children’s Rehabilitation Center; from 23 incidences in 2013 to 64 incidences in 2014, involving different schools in Mindanao. While there are 19 documented incidences from January to May of this year in the said island, alone. “We decided to hold dialogues with different government institutions in Metro Manila like the Senate and House of Representatives so that they can hear our situation and experiences. We want our legislators to support our long-time call to immediately pull out military and para-military troops in our schools and communities,” explained Ricky Balilid, a B’laan teacher of Mindanao Interfaith Services Foundation, Inc. (MISFI) Academy. Last May, news of closure of 24 STTICLC and MISFI academy schools in Davao del Norte caught the public’s attention locally and internationally. “The DepEd uses policies like PERMIT TO OPERATE (PTO) as their tool to repress us while our intention is clear, to be of service to lumad children and communities. With or without the permit, they continue to vilify, threaten and harass us while our students are sorely affected,” said Ronnie Garcia of Salugpongan Ta’ Tanu Igkanugon Community Learning Center (STTICLC). The network and school administrators of STTICLC and MISFI and are also set to troop the Department of Education to hound Sec. Luistro about the persisting attacks on schools in Mindanao. “Sec. Luistro has become a mere lapdog of the AFP. He follows their command instead of prioritizing the welfare and protection of lumad children and teachers,” added Manano. 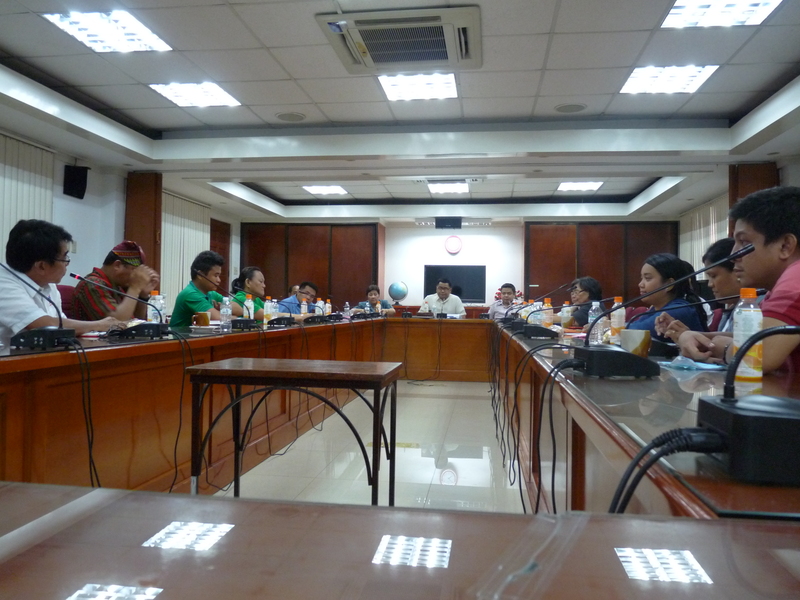 The network also scored Operation Plan Bayanihan (OpBay) as the framework of continuing violations. “Intensifying militarization of lumad schools and communities violates lumad children’s right to education and their community’s right to self-determination to destroy their strong unity and pave the way for multi-national mining companies and plantations. Furthermore, the Department of Education’s pressure on the schools wants to do the same,” Manano opined. “The Aquino government and its line agencies should be held accountable in jeopardizing lumad children’s future!” ended Manano.